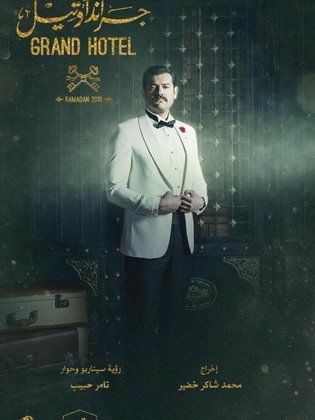 Nice to see Aswan’s Cataract hotel enjoying plenty of screen-time as it takes the lead role in the ritzy Ramadan TV series Grand Hotel. 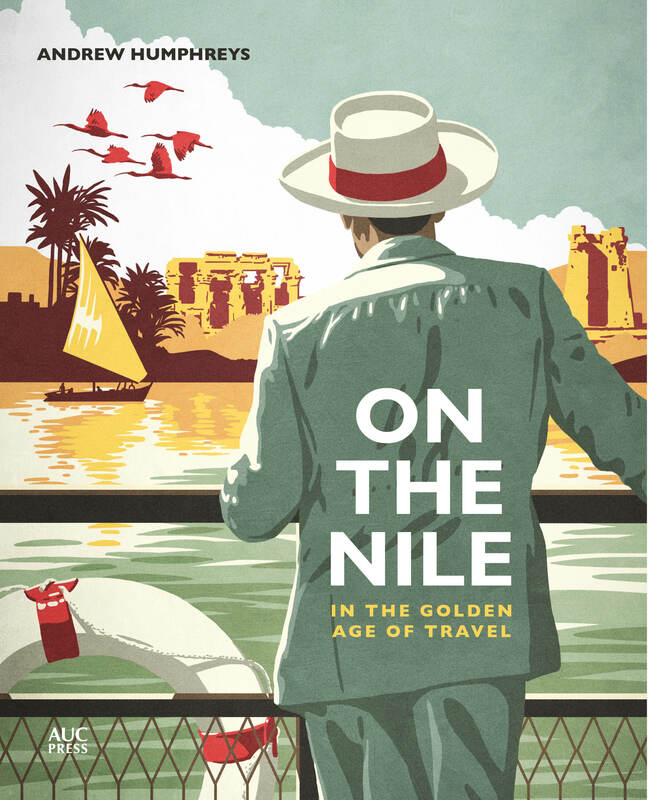 I have only seen the first two episodes so far but there are lots of scenes in the hotel’s Nile-side gardens and some on the terrace with its views of the river and desert beyond. But it seems the production wasn’t given permission to film inside the hotel because the interiors – at least in the first two episodes – were definitely not shot at the Cataract. In honour of the series, here are a few things you may or may not know about the Cataract. The hotel was financed by the English travel company Thomas Cook & Son. 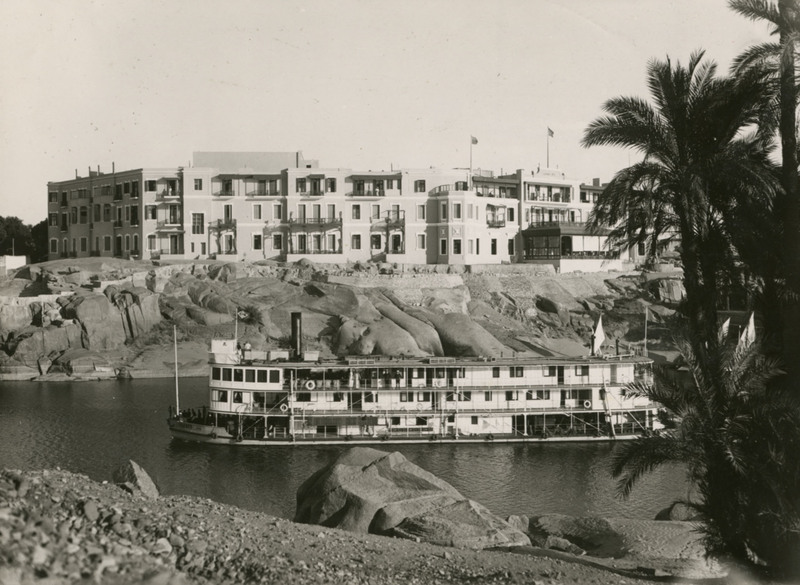 The railway had arrived in Aswan in 1898, bringing far more visitors to the town than the existing hotels could cope with. 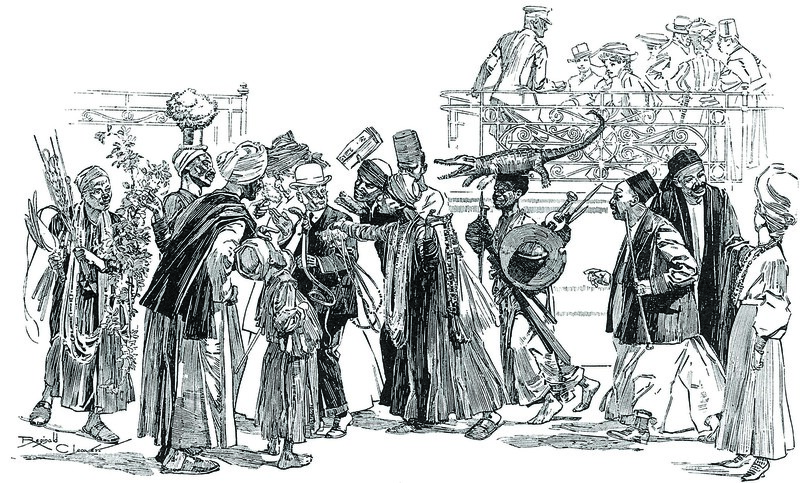 For a few seasons Cook & Son had been accommodating some of these tourists on one of its Nile cruisers, which was permanently moored on the Corniche at Aswan as a floating hotel. 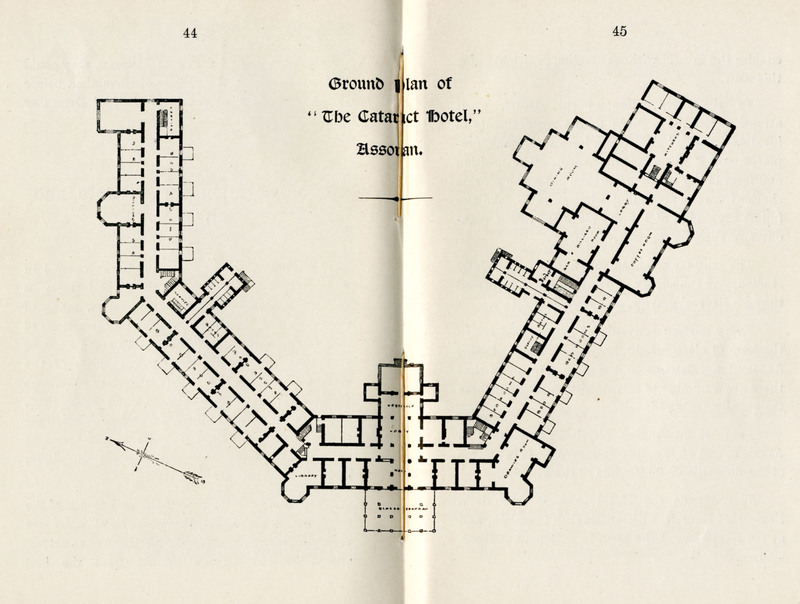 In 1899, the company decided to address the problem by commissioning a grand new hotel. Construction began in 1899 on nine feddans bought from the state. There was considerable controversy when Al-Ahram reported that workmen leveling the driveway to the hotel had come upon two hundred mummies which they then destroyed with their picks. The hotel opened to guests on 8 January 1900. 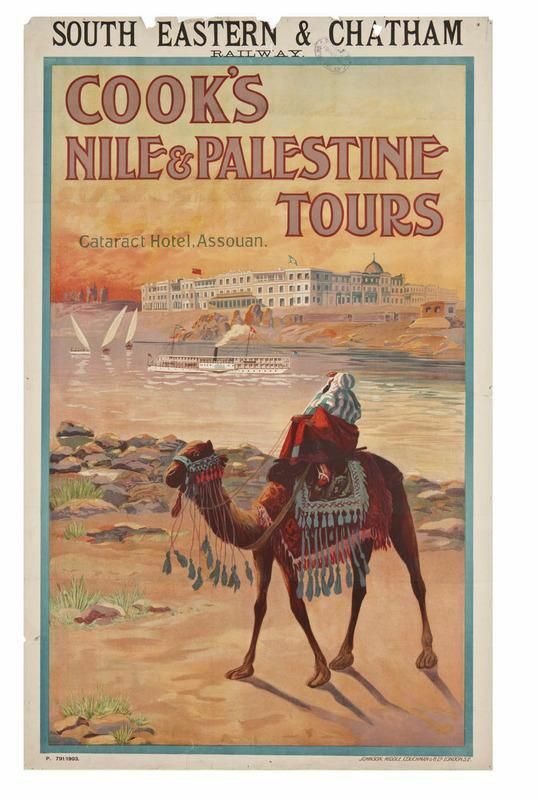 It was two storeys high with 120 rooms, the majority south-facing with balconies overlooking the Nile. Forty more bedrooms were added later that year but the following season the number of visitors was so great that tents had to be erected in the grounds to house the overﬂow. So in 1902, the hotel gained a third story with an additional sixty rooms, bringing the total number of rooms to 220. The architect of the hotel was an Englishman with the very un-English name of Henri Favarger. He was the same architect responsible for the Mena House out by the Pyramids in Cairo. The highlight of the Mena House was Favarger’s Moorish dining hall and at the Cataract he created an even more dramatic dining space, a great octagonal, double-height hall topped by a central dome seventy-ﬁve feet high. The press described it as “unmatched even in Europe”. You can still see Favarger’s name etched into a stone at the foot of one of the columns. Not everyone was a fan of the hotel. 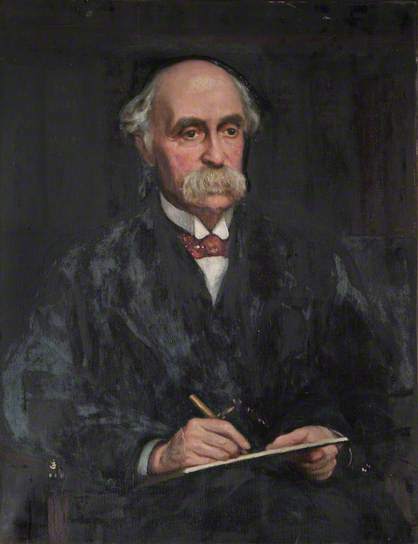 French travel writer Pierre Loti, who was generally appalled by the Europeanisation of Egypt. “Cook & Son have even gone so far as to conceive the idea that it would be original to give to their establishment a certain cachet of Islam. 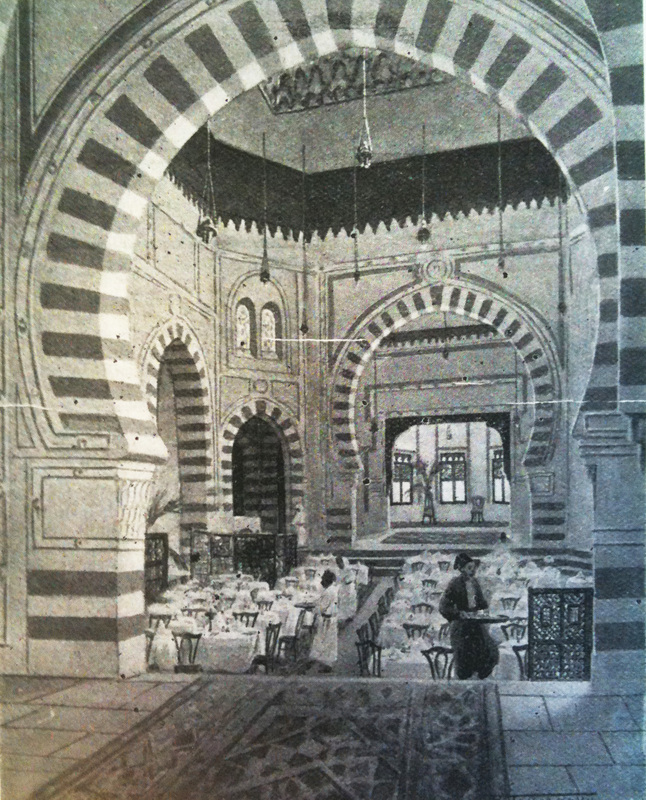 And the dining-room reproduces the interior of one of the mosques of Stamboul. At the luncheon hour,” he wrote with dripping sarcasm, “it is one of the prettiest sights in the world to see, under this imitation holy cupola, all the little tables crowded with Cook’s tourists of both sexes, while a concealed orchestra strikes up the Mattchiche.” English travel writer Douglas Sladen was almost as scathing: he thought the hotel looked like a county asylum. Despite the claims of the hotel – and everybody else taking these claims as fact – there is no evidence Agatha Christie ever stayed at the Cataract. 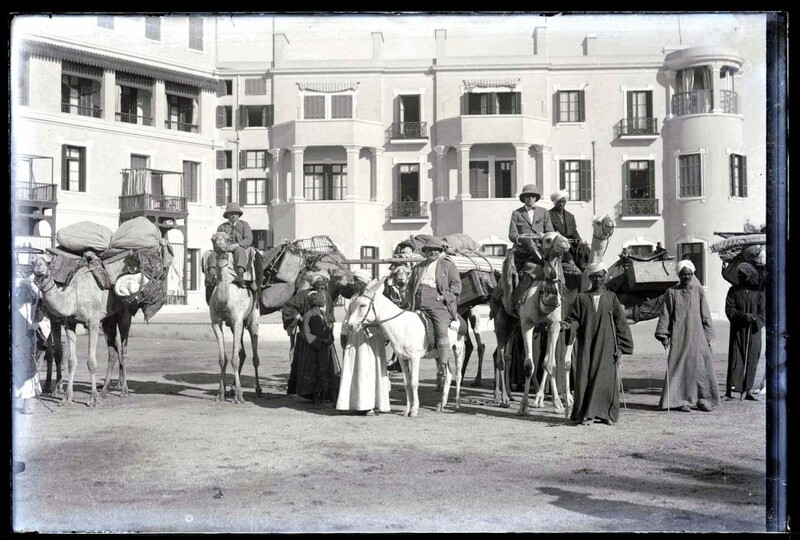 She holidayed in Egypt twice in the early 1930s and passed through Aswan on a Nile cruise. 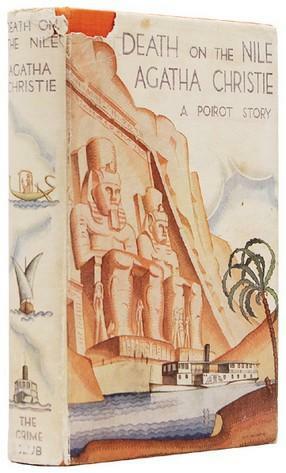 Her descriptions of the hotel in her twenty-second novel, Death on the Nile, prove that she certainly visited the hotel but passengers on Nile cruises tended to sleep in their cabins on the boats while in Upper Egypt. I’m not saying categorically she did not take a room at the Cataract, simply that there is no evidence to say she did. A Lord Benbrook, a regular guest at the hotel, once arrived at the terrace to ﬁnd his favorite table taken and informed the seated party that the table was reserved. “Since when,” asked the occupant. “Since twenty years,” Benbrook replied. Another regular was regular was Sultan Muhammad Shah, better known as Aga Khan III. After his ﬁrst stay in 1937, when he and his new bride honeymooned at the Cataract, he reserved a suite at the hotel every year during the winter months. 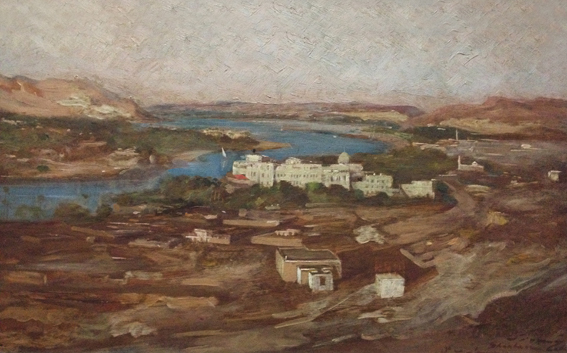 Before his death in 1957, he requested to be buried in Aswan and his mausoleum faces the Cataract from the top of a sandy hill across on the far side of the Nile. Egyptian royalty, on occasion, also favored the Cataract. King Farouk visiting for the 1941–42 season took an entire ﬂoor. 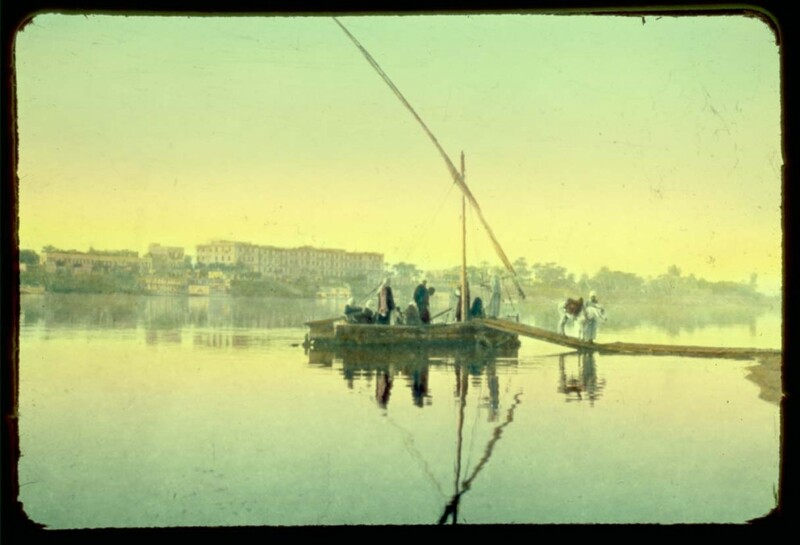 According to stories doing the rounds at the time, the King enjoyed taking potshots from his balcony at the little Nubian boys paddling their boats on the river below. True or not, it says a lot about Farouk that such a story was so widely circulated. 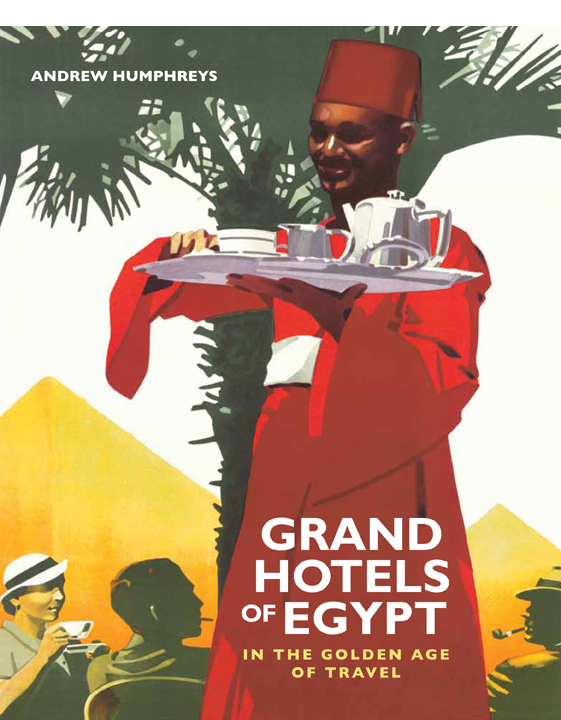 Maybe because it is so far from Cairo, but the Cataract was never written about or photographed as much as most of Egypt’s other grand hotels. It is, though, the only hotel to feature in a Cairo museum. This is a painting done in 1948 by Shaaban Zaky, a self-taught artist and railway employee, who travelled Egypt with his easel and brushes, and you’ll find it in the Museum of Modern Egyptian Art on Gezira.